“The revolutionary-evolutionary miracle of photosynthesis is precisely in daring to create something that did not exist before. There are good reasons for us to talk about ‘the architecture of space’ and the ‘coordinate system.’ By itself, this work seems to show eternity of life. And its ability to overflow every bound,” editor-in-chief Larysa Ivshyna wrote in her traditional column. Actually, this new fall issue of our glossy magazine is entirely devoted to such a metaphorical vision of one of the most important natural processes. Of course, it also refers to “Den’s photosynthesis,” manifesting itself in products which include our photo exhibition. As soon as October 28, an exhibition of the best photos of the 19th International Photo Competition of our newspaper will be opened in the capital’s Lavra Gallery, and we will offer a look into the “secrets” of its participants and prizewinners in Route No. 1 even earlier. Only our glossy supplement has blitz interviews with photographers who record the war in eastern Ukraine as well as portray our defenders and peaceful citizens who were forced to become internally displaced persons: Oleksandr Khomenko, Yurii Velychko, Alina Komarova, Ihor Volosiankin, and Alla Pushkarchuk. From an interview with Yurii Kochut, one of three Uzhhorod brothers who created a unique brand, one can learn about jewelry art as a synthesis of skills. What kind of drinks will cheer you up amid cold fall weather is revealed by sommelier of the Whiskey Corner restaurant Oleh Kozlovskyi. 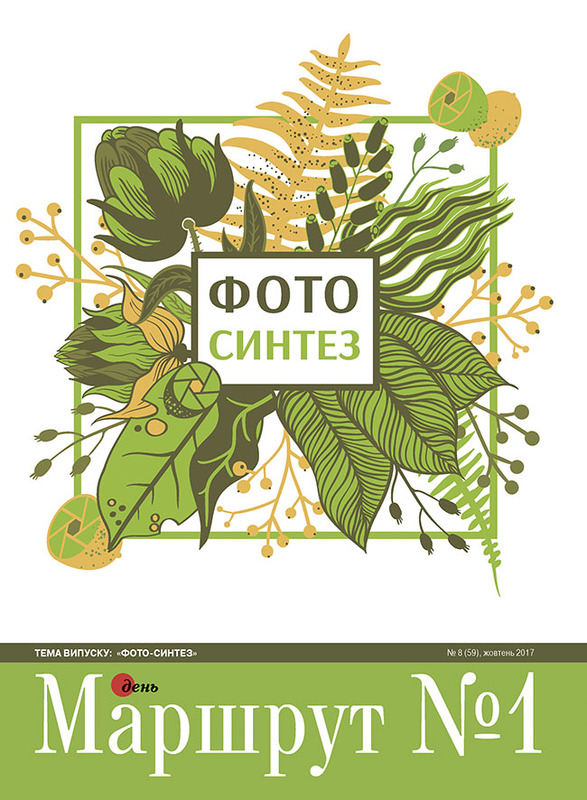 The reason why golden lime is one of the most important colors this season (among other things, it is used for the entire issue of the glossy magazine) and how it affects fashion-conscious public is related by well-known Ukrainian fashion designers Fedir Vozianov and Liudmyla Kyslenko. In addition to all that, the issue also features our partners’ advice on how to “vitaminize” one’s living space. There are many more interesting stories for our readers in the magazine! Order Route No. 1: Photo-Synthesis from Den’s online store at day.kyiv.ua/ru/library or by phone at the sales department: (044) 303 96 23. Or wait till October 27 to buy it at a newsstand!